We strive to provide our customers with the most educational fitness equipment buying experience. Our staff will listen to your needs , and provide unsurpassed support before, during, and after the installation of your equipment. Unique design integrates Olympic bar and weight stacks, eliminating the need for Olympic weight plates. Dual pulley system adjusts to 32 positions for unlimited functional training capability. 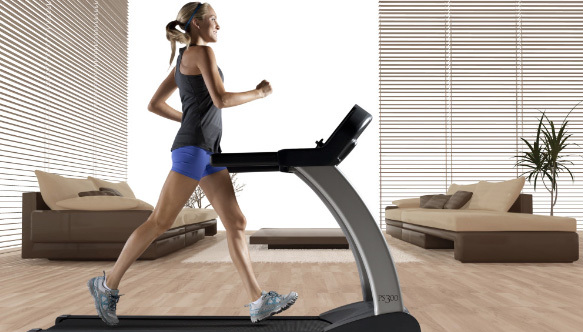 The TRUE ES900 treadmill is the answer to premium fitness equipment for your home. The ES900 offers superior durability, performance and innovation. Special touches, like the aluminum straddle covers, make the ES900 stylish enough for any room in your house. The TRUE ES900 is designed to be the best, for those who demand the best. As the Premier Fitness Company in Ohio for both commercial and residential fitness equipment, we strive to give our customers the best and most knowledgeable retail experience when deciding to purchase fitness equipment. Our professional fitness staff will listen to your specific needs, and will help by directing you to which fitness equipment is designed to meet your goals. Our 5,000 square foot showroom highlights some of the best residential fitness equipment and fitness accessories available on the market today. 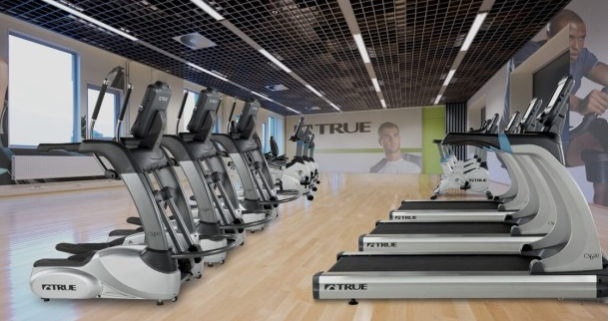 To see for yourself, simply click on the showroom picture or the “Tour Now” below and take a Virtual Tour of our equipment and fitness offerings. Tiger Joe’s Fitness carries the highest grade commercial and residential fitness equipment on the market today. From treadmills, ellipticals, bikes, and steppers, to functional trainers, free weights, dumbbells & barbells, to all the fitness accessories you may need, Tiger Joe’s Fitness has what you need for your workouts and exercise routines. We carry such lines of fitness equipment as: BH, Body Craft, Body Solid, Cybex, First Degree Fitness, Helix, Inspire, Jacobs Ladder, Life Core, Spirit, Troy Barbell, True Fitness, Tuff Stuff, and fitness accessories from TRX, SPRI, Element, Extreme Monkey and more.